Concussions can be life threatening if not treated properly, and the addition of Buffalo Treadmill Training will allow us an extra opportunity to determine readiness to return-to-play so proper healing can occur. ProRehab, a proud provider of critical Immediate Post-Concussion Assessment and Cognitive Testing (ImPACT) screening for concussions, is proud to announce the addition of two new protocols to their sports concussion management program – the King-Devick Test and Buffalo Concussion Treadmill Testing. According to the Center for Disease Control and Prevention, 3.8 million sports concussions were reported in the United States in 2012. Screening exams like ImPACT Testing and the King-Devick Test can play a large role in accurate concussion identification and return to play decisions. The ImPACT Test, a sophisticated, 20-minute test of cognitive abilities provided by the Certified Athletic Trainers and Sports Certified Specialists at ProRehab, measures an athlete’s baseline brain abilities before the season begins. If an injury occurs, a subsequent ImPACT test can be performed to compare the student athlete’s pre-season abilities to their current abilities. The King-Devick Test detects impairments in eye movement, attention, language, and other associated symptoms of suboptimal brain function based on three tasks: the speed of rapid number naming, reading aloud a series of single digit numbers from left to right and line to line, and the ability to discern various levels of contrast. Both screening exams help to identify symptoms and severity of the concussion. ProRehab then refers athletes, as needed, to doctors who specialize in the treatment of these injuries through the St. Mary's Sports Concussion Alliance, a partnership with St. Mary’s and Tri-State Orthopaedic Specialists. The Buffalo Concussion Treadmill Test (BCTT) will serve as an additional marker in determining return-to-play readiness. The BCTT uses blood pressure and pulse to establish a time frame for a student athlete’s physiologic recovery from concussion and establish a safe aerobic exercise treatment program to help speed recovery and return to activity. ProRehab’s physical therapists are the best first choice for concussion education. They have the ability to identify concussion symptoms and recommend critical next steps for student athletes. To schedule an appointment for baseline ImPACT or King-Devick testing, please call 812.403.DING. 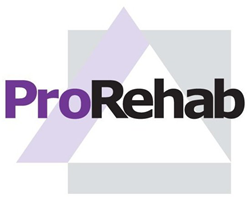 To learn more about ProRehab’s services, or to book an appointment with one of our expert therapists, visit http://www.prorehab-pc.com.